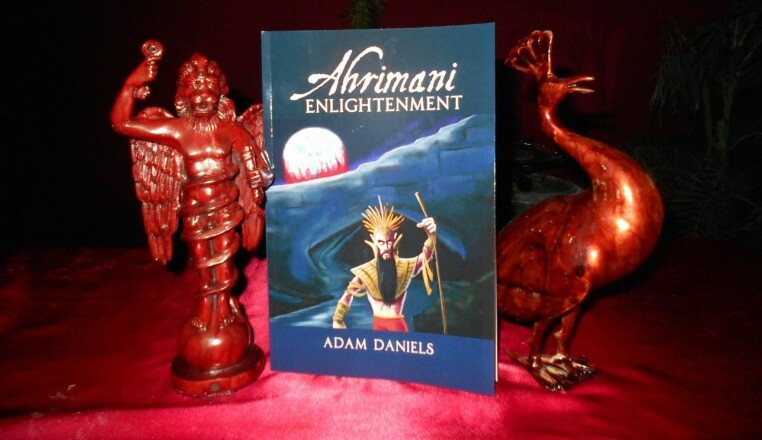 Oklahoma satanic church leader Adam Daniels wrote to the Duncan Public Schools superintendent offering to distribute 24 copies of “Ahrimani Enlightenment,” a workbook focusing on his 13 religious principles. “Dead Poets Society” had John Keating. “Stand and Deliver” had Jaime Escalante. At Duncan Public Schools in Oklahoma, there is Adam Daniels. The professed devil worshipper wants to likewise become an anti-establishment hero who defies the odds and introduces students to new ideas. 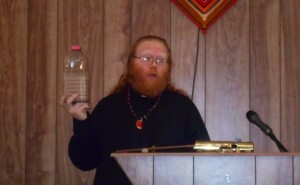 Thanks in part to an effort by the Oklahoma attorney general to encourage the distribution of religious material in schools, there’s a slim chance the local satanic church leader might succeed. The story of Daniels’ quest began – as church-state spats apparently do in Oklahoma – with a government employee using her perch to proselytize. In this case, a third-grade teacher in Duncan, Oklahoma, reportedly passed out Bibles to students on April 6. The American Humanist Association, which promotes a “philosophy free of belief in any gods and other supernatural forces,” sent a legal notice demanding a halt to the practice. As also apparently tends to happen in Oklahoma, in stepped state Attorney General E. Scott Pruitt. He boasts on his campaign re-election website that as a state senator, he pushed through a 2000 bill discouraging agencies from enforcing laws that might inhibit religious practice. Daniels, who has posted YouTube videos of himself and his wife discussing a homebrew version of Satan worship, jumped at the opportunity. He wrote to schools superintendent Melanie Hau offering to distribute 24 copies of “Ahrimani Enlightenment,” a workbook designed to educate people about his 13 religious principles. He says they draw on depictions of Satan in faiths such as Zoroastrianism and Hinduism. Among Daniels’ tenets: “Fulfilled is the man who is with chaotic wickedness,” according to a nightly prayer Daniels provided via email. The superintendent, Hau, demurred, referring Daniels to a school district resolution banning the distribution of Bibles to grammar school students during class time. The superintendent’s letter, and the attached resolution, seemed intended to resolve the matter, Daniels said. However, the resolution specifically excluded high school students. It described a process through which school officials can review religious materials for appropriateness and possible distribution. “If the avenue opens to where we can submit materials for review, we will move forward with that,” Daniels wrote in an email. Daniels says he’ll persist even though he claims his “Ahrimani Enlightenment” offer drew online death threats after a local TV station posted a news story on Facebook. Matt Smith can be reached at msmith@revealnews.org.